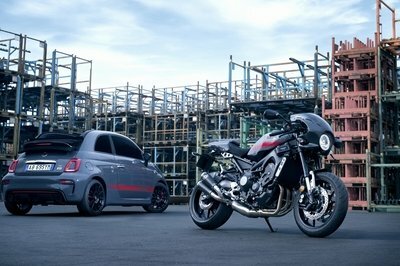 The Italian gets a bigger heart and better electronics to take on its brother form another mother. Aprilia has been firing on all pistons to give the world class leading performance motorcycles that make the riding aphrodisiac’s hearts racing. And as with them trying to stay with changing times, they add new updated models every year to their existing lineup to keep things fresh. Although they never made many headways before, it seems like they have now learnt things the hard way and have been busy making bikes that speak for themselves and beam technical prowess. 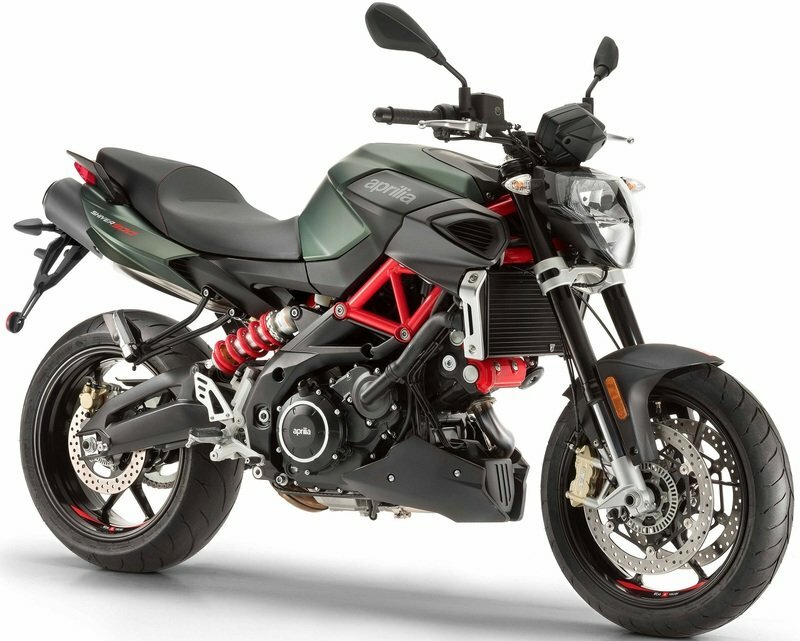 First seen on the EICMA 2016 stage, Aprilia launched the updated models of its naked streetfighter, Shiver. A 750cc motorcycle first launched in 2007, struggled because of its unearthing looks which were not any more striking than the competition. But now, it seems that Aprilia have given their magic touch to the 2017 edition, and it looks more so ever lively and strong. It carries a bigger 900 cc engine, a jump of a lethal 150 cc from the earlier models and they sit just below the Italian brand’s flagship models RSV4 RF and Tuono V4 1100 RF. New electronics, refined mechanics and an excellent chassis structure sees this motorcycle take new levels of riding pleasure and we are here to find out how. For 2017, Aprilia has given the Shiver 900 major improvements with regards to the exteriors with fresh new body kit including a new headlamp unit, tank extensions and body and tail panels. Keeping the best part about the motorcycle intact i.e. easy rideability, the bike has managed to become more seductive than before. The naked streetfighter from Noale gets fresh new side covers on the fuel tank, side panels, tail fairing and front mudguard that enhances the aesthetics of the muscular silhouette from before. It also manages to retain the “Italian" with its racing red tubular frame, wheel rims, frame, shock absorber spring and cylinder head covers. Out front, the headlamp unit misses the bikini fairings it carried previously and gets a sharper looking headlamp instead. The strongly tapering tail also incorporates the twin exhaust with circular silencers, a feature which makes the design even more aggressive, while keeping weight distribution highly symmetrical. The adoption of a side shock absorber not only adds a further distinctive feature but also enables a rational and compact exhaust system to be fitted. 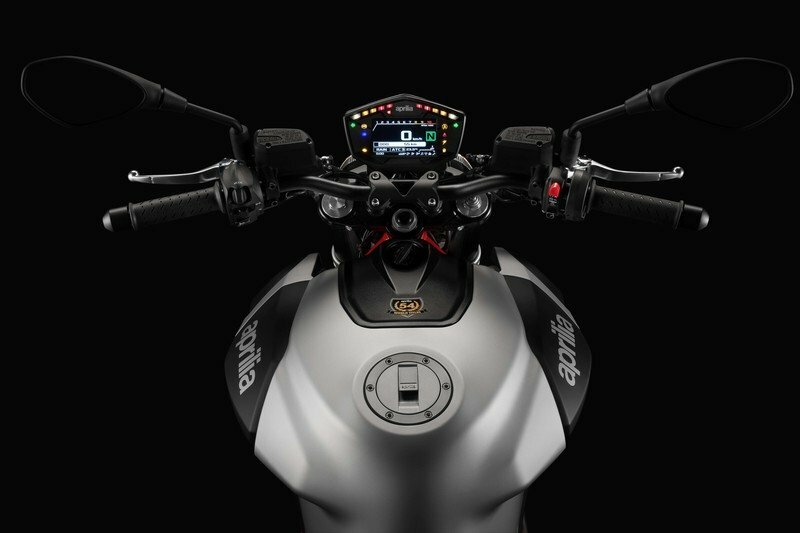 The motorcycle gets an all-new modern 4.3” TFT instrument cluster which borrows from the Aprilia RSV4 and Aprilia Tuono 1100 V4 versions. This light sensitive screen gives out clear and highly legible readings and can be wirelessly connected to your smartphone device via the optional AMP kit. On the whole, the Shiver has been built synonym with Aprilia’s DNA where form and function come together to create an almost perfect object. On the whole, the Shiver has been built synonym with Aprilia’s DNA where form and function come together to create an almost perfect object. The design is refined, but at the same time clean-cut, without too many frills for the maximum possible functionality. While it’s easy to be captivated by the Shiver’s state-of-the-art design, more impressive is what’s inside. The 2017 Shiver 900 gets, as the name suggests, a new 900cc V-twin engine that is capable not just of high performance, but also complete reliability. The 90 degree, liquid cooled, DOHC engine make enough grunt to produce 95.2 bhp power and 66.4 ft-lb of torque, thanks to new Marelli 7SM ECU and increased stroke. As before, the Shiver continues using the ride-by-wire technology that it was first bestowed back in 2007 itself. It was the first factory fitted motorcycle to get this back then and still makes the scene of giving precise throttle response to the rider with being much lighter than before. Other electronic management bits include electronic accelerator that optimises opening of the throttle bodies to improve performance and fuel consumption. It was the first factory fitted motorcycle to get ride-by-wire back then and still makes the scene of giving precise throttle response to the rider with being much lighter than before. All the power is transmitted to the rear via a 6-spped gearbox and a multi plate-wet clutch system. Slipper clutch gives a miss here. 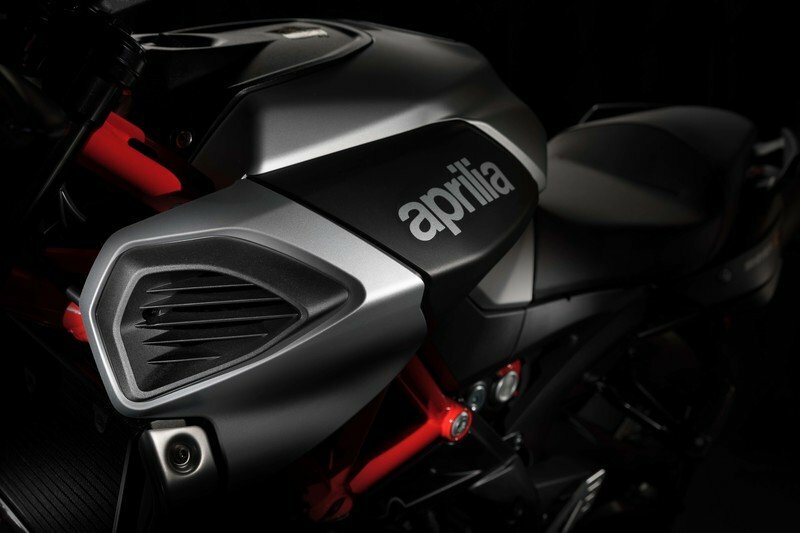 The under seat stainless steel exhaust unit is one of the characterising aesthetic elements of the Aprilia Shiver. The clean design replaces a triangular one used before, and the exhaust is now directed downwards and to the side to give better pillion comfort. The Shiver was always known to be one of the most rider friendly naked bikes ever to come out of the Noale factory and still manages to hold that title even today. The ultra-fine chassis architecture born out of the WSBK experience helps in giving the rider a clutter-free engagement and riding pleasure. The mix of steel trellis/aluminium plates frame provides confident riding around the corners, and the stiff setting makes it easy for the rider to flick it from side to side. Thanks to the reduced engine length, the engineers in Aprilia managed to obtain a short, agile bike and ensured that this compact bike could cater to the fledgeling riders with no problem, as well as enhance the riding skills of more expert and discerning bikers. Optimum definition of the suspension is an obsession for Aprilia designers. Hence, on the mechanical front, the Shiver gets a light and beefy new 41 mm stanchions Kayaba forks that are adjustable in hydraulic rebound damping and spring preload for smoothly tackling both urban and highways. The rear mono shock is pivoted to the side straight onto the aluminium alloy swingarm, and it is adjustable in spring preload and hydraulic rebound. When it comes to stopping prowess, Aprilia engineers have left no stone unturned. Equipped with two-channel ABS, twin 320 mm discs on the front and a 240mm disc at the rear sport a single-piston radial callipers. Metal braided lines guarantee maximum braking precision. 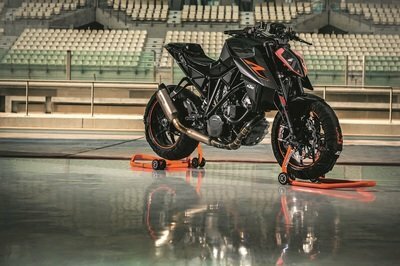 They are clutched onto the lightweight three-spoked wheel rims borrowed from the standard Aprilia Tuono V4 and shod a 120/70 tyres on the front and 180/55 on the rear. 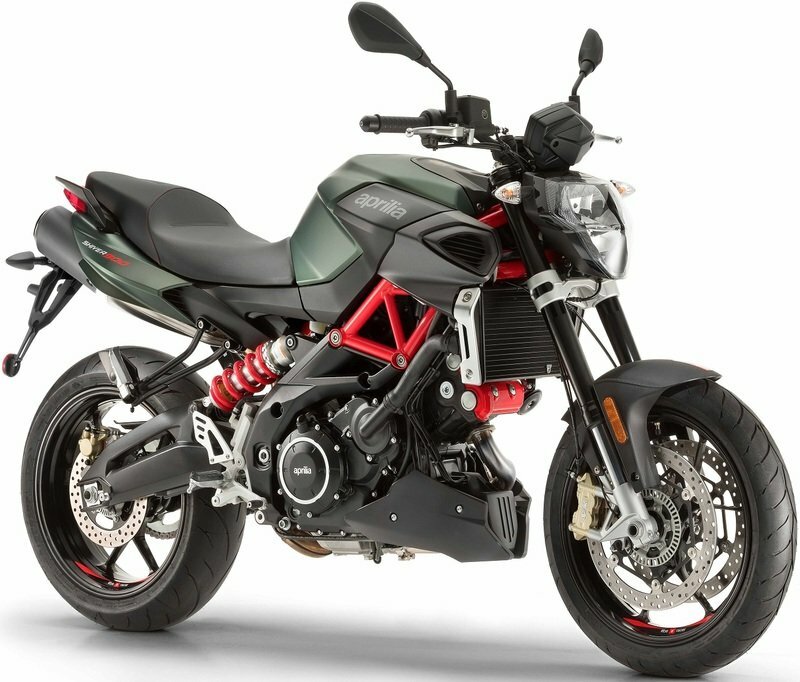 Aprilia managed to obtain a short, agile bike and ensured that this compact bike could cater to the fledgeling riders with no problem, as well as enhance the riding skills of more expert and discerning bikers. Electronic rider aides like the three-level advanced traction control system adjust throttle position and fuel injectors to provide optimum engine performance and at the same time keeping you safe from skidding away. 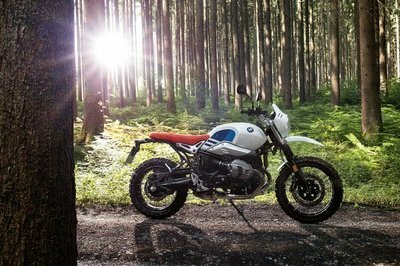 Then there is the three-level riding modes: Touring, Rain and Sport with which the rider can access the engine management settings to suit the riding conditions. Replacing the $8699 Shiver 750, the 900 will make way into the country by late Spring 2017. Although no official announcement on pricing is released, it will, however, cost around $9500-$9900 (MSRP) when launched. It will be available in Silver and Battle Green colour options. You can as well accessorise the motorcycle with original Aprilia range of accessories dedicated to sport and touring. 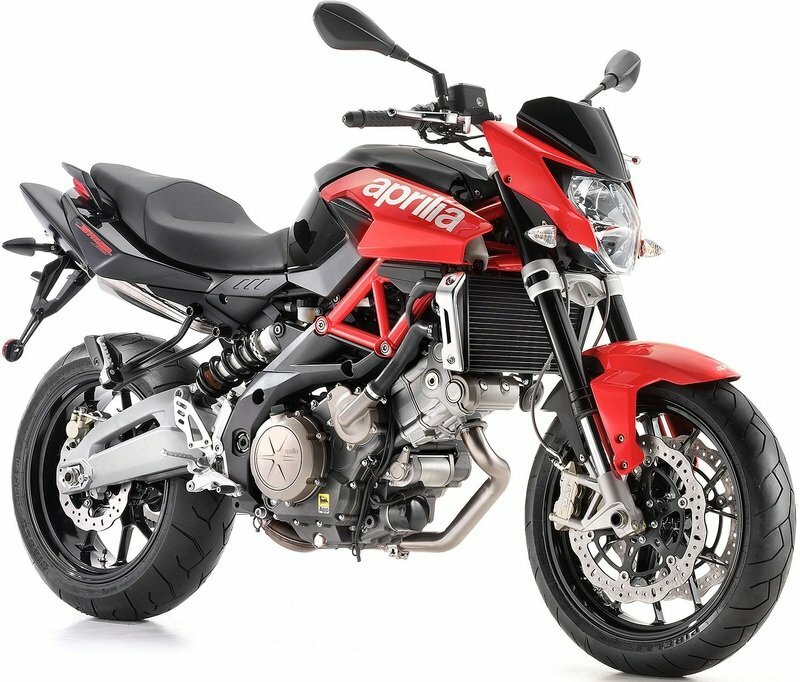 Levers, mirrors, frame guard, fork bumpers, comfort saddle, panniers, amongst others are made available to Aprilia customers. With competitions like the Kawasaki Z900, Ducati Monster 821 and the Yamaha MT-09, this Aprilia has a lot of hard work to do to push through such stalwarts in the class, especially when it comes to the power output and pricing. 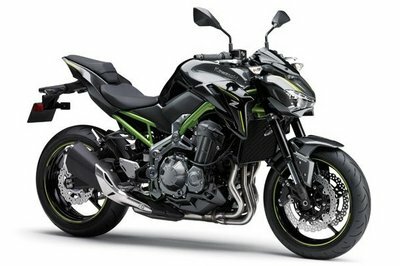 Replacing the outgoing Z800 in the ‘Z’ class of Kawasaki’s naked bike is the Z900. Carrying the trademark Sugomi-inspired styling, this naked 900 describes the intense aura or energy given off by a person or an object of greatness felt by the person viewing it. The elegant bodywork has sharp lines flowing from head to tail and is minimalistic to the core. The slim and close fitting bodywork gives its representation as a light and agile image. Designed from the bottom, the new Euro IV complaint liquid-cooled, DOHC, 16-valve, 948cc inline four-cylinder engine offers impressive power and strong torque. A purposeful choice to provide riders with a crisp and smooth response with an exhilarating acceleration. Four 36mm throttle bodies and sub-throttles provide better mid and low power bands and the engine belts an impressive 126 bhp, 12 more than the Z800 and torque peaks at 73.5 Nm lb-ft at 7700 rpm. Suspension forces are worked by the 41mm inverted front fork featuring stepless rebound damping and spring preload adjustability. An adjustable Horizontal Back-link Rear Suspension that is positioned above the lightweight swingarm contributing mass centralization. Standard ABS works brilliantly on the dual 300mm front petal discs and 250mm rear petal disc that are clamped by dual opposed piston callipers with resin brake pads to deliver ample braking power. A ’17 Z900 with ABS will set you back $8799, while the non-ABS model rolls for $8399. No matter which brake package you go with, the choice in paint remains the same: Pearl Mystic Gray/Metallic Flat Spark Black or Metallic Flat Spark Black/Metallic Spark Black. There is a thing with Ducati and its naked streetfighters. While someone will reckon Ducati for giving us some exciting and legendary faired superbikes like the 999, 1098 and Panigale, it is the range of its streetfighters which have been the easily accessible fun tools for most of the Ducati fans across the world. In the past, the Monster range and Streetfighter sold like hot cakes and played a major role in the expansion of the Ducati family. 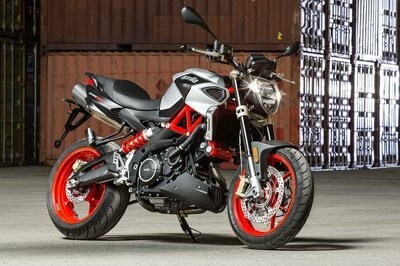 Ducati refurbished its Monster range by launching an all-new middleweight variant of the motorcycle in the face of Monster 797. Ducati perfectly showcased that how the classic silhouette of the Monster could have been evolved without tinkering its familiar appeal too much. 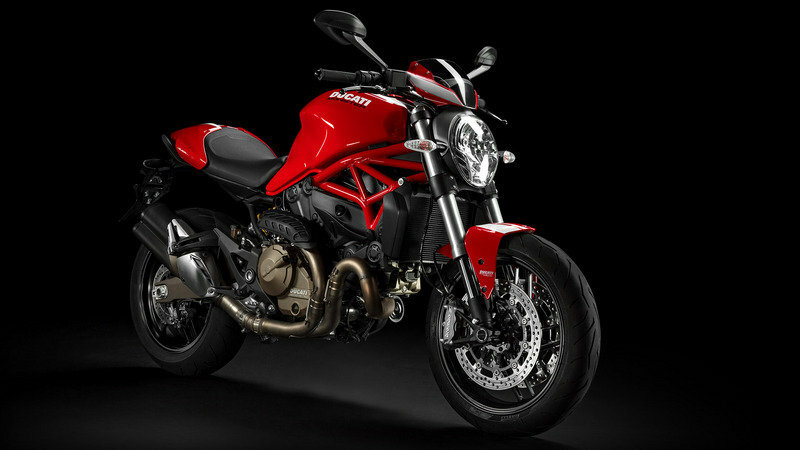 With the Monster 821, Ducati has just managed to make the Monster platform more eye pleasing and visually bigger. 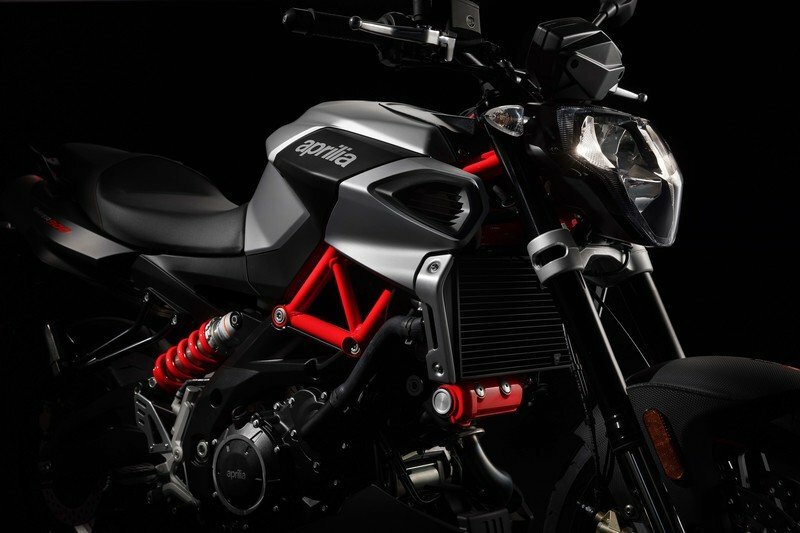 The Monster 821 is powered by the Testastretta 11° 821 cc engine, with air injection system that generates power equal to 110 bhp at 9250 rpm and 65.9 lb-ft of torque at 7750 rpm. The transmission features an oil bath clutch with "slipper" function and a lever that is very light to the touch. The three Riding Modes (URBAN, TOURING, SPORT) combine the leading technologies in the product class, such as Ride-by-Wire (RbW), Ducati Traction Control (DTC), and 9MP ABS with multiple settings. The racing-inspired chassis geometry is matched with 43 mm fully adjustable upside-down forks, while the rear suspension is entrusted to a Sachs mono shock with adjustable compression and extension, mounted on one side vertically on the cylinder head and, on the other, on a sturdy Ducati double-sided swingarm. The front brakes of the Monster 821 have high-performance, pump-activated Brembo Monobloc M4-32 radial callipers, equipped with high-calibration multiple 9MP ABS as standard. The four-piston front callipers, fitted radially, act on 320 mm discs, while the Brembo two-piston rear calliper is fitted on a 240 mm disc. All this can be yours for $10995 for the blacked-out Monster 821 Dark, and the regular 821 (red, with red frame and black wheels, or white with a red frame and matte-red wheels) lists at $11495 (all MSRP). With the new Shiver 900, Aprilia has once again shown us that their attractive design language has still some juice left in them and with this motorcycle being equipped with state of the art technologies, it makes itself heard at the least. With it certainly being not an easy matter to take the lead in a class as fiercely competitive as the medium powered naked class, we feel the folks at Noale could have upped the ante with more tech and features like the Ducati’s 821. Nonetheless, Aprilia has picked up the mantle and shown belief in their product to deliver. To a company that has to date acclaimed more than 250 world championship victories, this Shiver 900 motorcycle is their way of satisfying the disparate needs of those wanting a tool for everyday use, to a trip along mountain passes, or to use on the racetrack. The Aprilia Shiver behaves completely at home in any situation, guaranteeing pure riding pleasure at all times. To a company that has to date acclaimed more than 250 world championship victories, this Shiver 900 motorcycle is their way of satisfying the disparate needs of those wanting a tool for everyday use, to a trip along mountain passes, or to use on the racetrack. Only if it had a bit more pieces like the slipper clutch and a little more top end grunt like the Kawa’s or the Ducati’s, the price expected for this motorcycle would have been a bargain no doubt. At the end of the day, all that matters is how much it could make you smile when you throw a leg around, and this, it knows best. The Aprilia Shiver 900 increases in performance, thanks to the new 900 V-twin engine, capable of increasing, not only the power, but more importantly, the maximum torque delivered at any rpm at top levels for its category. More power and more character that translate into great riding satisfaction without sacrificing the ease and comfort that have always been characteristics of the Aprilia Shiver. It stems from a bike that has made fledgling and expert riders alike fall in love, thanks to its chassis architecture that, in the best Aprilia tradition, draws on the know-how of a manufacturer that has won 54 world titles in its brief history and that currently has bikes in premier competitions like MotoGP and Superbike. 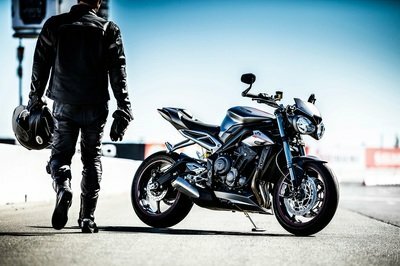 The new superstructures - side covers on the fuel tank, side panels, tail fairing, front mudguard - that profoundly revamp the aesthetics make the new naked sport bike from Noale stand out at a glance. The new twin cylinder also stands out for its aggressive features that highlight its distinctly sporty character: the wheel rims, the frame, the shock absorber spring and the cylinder head covers are now painted red. The instrument cluster is completely new and is now made up of an ultra-modern TFT technology display to ensure that the information is perfectly legible. The large, 4.3” screen (the same one used on the new Aprilia RSV4 and Aprilia Tuono 1100 V4 versions) allows all the on board information to be clear and highly legible at all times, thanks in part to its capacity of adapting the background and font colours based on the conditions detected by the light sensor. Connectivity with your smartphone, provided as an accessory with the AMP kit, also provides you with all the data related to incoming/current calls on the screen, as well as information related to the use of an intercom or any audio files that you may be playing. For the first time, the easy to ride, powerful and technologically advanced Aprilia Shiver 900 now has an advanced traction control system that increases safety while taking riding pleasure to maximum levels. From city riding to more flowing routes, from mountain passes to touring itineraries, even long range, Shiver 900 invites you to fasten your helmet and set off in search of the best sensations on two wheels. The new Euro 4 engine grows to 900 cc from the 750 cc on the first version. This increase was achieved thanks to the increased stroke that means the power at the shaft exceeds the threshold of 95 HP and, more importantly, significantly increases torque at medium rpms, all to the advantage of pick up power during acceleration and coming out of corners. The 90 Nm of torque at 6,500 rpm that are consequently obtained guarantee pure fun in the saddle. Aprilia Shiver 900 is an easy bike to ride even for new bikers, accompanying them in their personal evolution of experience in the saddle. This is why there is also a version available with power limited to 35 KW that can be ridden by A2 class license holders. The new powerplant maintains the 90 degree angle between the two cylinders, as well as a timing system with four valves per cylinder, dual overhead cam and liquid cooling. On the other hand, it now has a more efficient lubrication circuit and the new Marelli 7SM ECU. The new Shiver 900 receives the full benefits of Aprilia’s extensive experience in electronic control systems and riding support for which the Aprilia RSV4 - the supersport bike that has won seven World SBK titles (three rider and four manufacturer) in its racing version and that is consistently at the top of its category in the street version - is an unrivalled example. 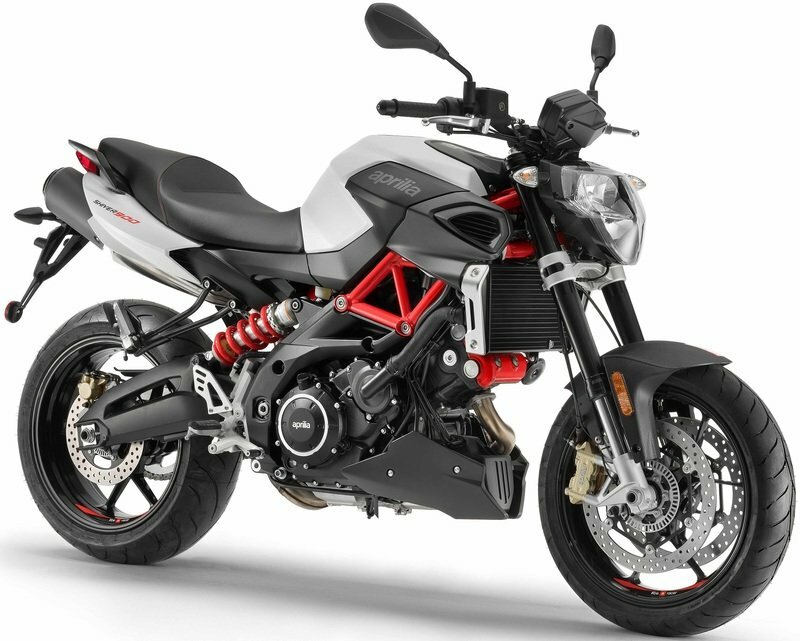 The exhaust pipes, one of the characterizing aesthetic elements of the Aprilia Shiver with their placement under the saddle to give the side view of the bike an extremely clean look, have been redesigned. They maintain the original position, but the end of the silencer is shorter and directed upward. The exhaust flow is now directed downward and to the side in order to prevent interference with the passenger and to guarantee greater comfort. The performance provided by the new engine is perfectly matched to an ultra-fine chassis architecture, easy to ride and intuitive, but at the same time incredibly high performance that, in the best Aprilia tradition, is simply unrivalled in the category. In fact, the mixed steel trellis/aluminium plates frame provides standard-setting stiffness, defines an extremely compact bike and ensures that it is capable of catering to fledgling riders with no problem, as well as enhancing the riding skills of more expert and discerning bikers. This makes flowing routes a favourite playground for the Shiver 900. The Shiver 900 structure takes advantage of all the proverbial Aprilia know-how where frames are concerned and draws from the on-track experience gained in the Supermoto competitions where Aprilia boasts no less than seven World Titles. The trellis upper part in steel tubing is connected to wide spread aluminium lateral plates using special, high-resistance bolts. The combination formed by these elements forms an extremely stiff and lightweight frame, an extremely rational and excellent solution for reining in all the horses of the new Aprilia V90. The aluminium alloy swingarm with stiffening truss boasts stiffness values at the top of its category and it is sized to withstand the asymmetrical stress due to the lateral positioning of the shock absorber. 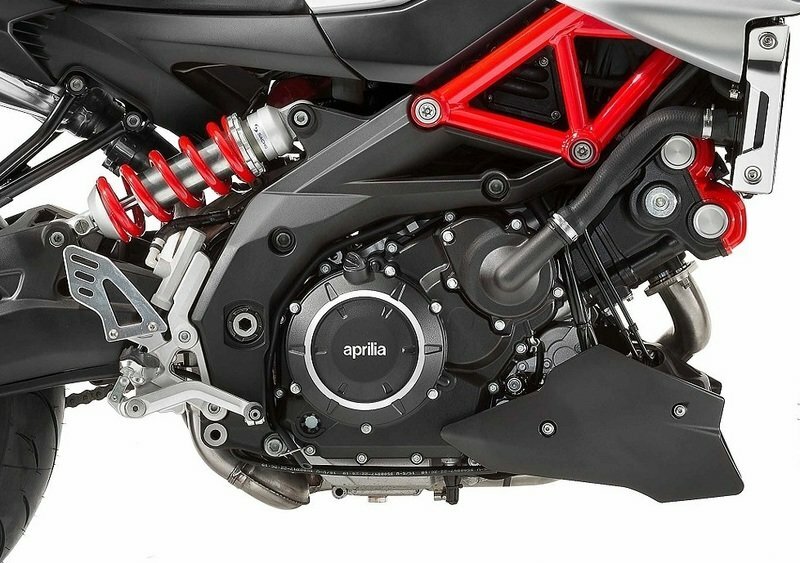 Aprilia Shiver 900 adopts a new 41 mm stanchions Kayaba fork, almost a half kilo lighter than the one mounted on the first version, adjustable in hydraulic rebound damping and spring preload, with chill cast feet to support the radial callipers. The 120 mm travel lets you smoothly tackle urban and mountain routes. The two steering yoke plates are made of forged aluminium. The rear shock absorber, mounted on the side, is pivoted directly to the swingarm, following the cantilever layout and it is adjustable in spring preload and hydraulic rebound. Rear wheel travel is 130 mm. 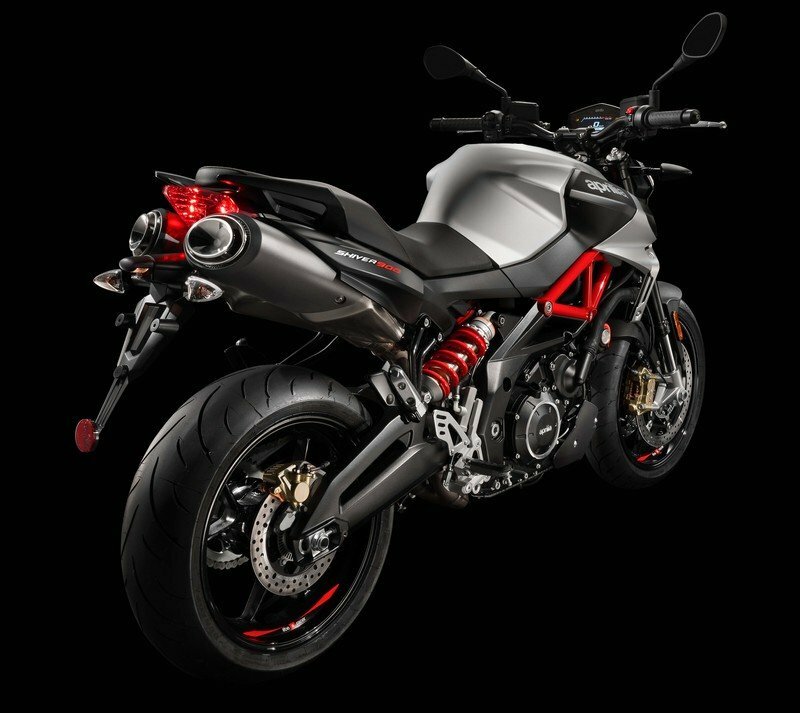 The sporty, three-spoked wheel rims are also new, inspired by the standard Aprilia Tuono V4 wheels and contributors to containing the weight, reducing the front by 0.9 kg and the rear by 1.3 kg. This leads to a drastic reduction of the gyroscopic effect and therefore greater agility for the bike, improved suspension functionality thanks to the reduction of unsprung masses and quicker acceleration. The new wheel rims are shod with 120/70 tyres on the front and 180/55 on the rear. The braking system, equipped with two-channel ABS, implements radial callipers to highlight the sportiness of the project and 320 mm discs on the front. On the rear, a 240 mm disc is gripped by a single-piston calliper. Both the front and rear systems have metal braided brake lines derived from the aeronautic sector, which eliminate the annoying buffering effect of conventional lines and guarantee maximum braking precision. A wide range of accessories dedicated to sport and touring is available for the Shiver 900 as well. The former highlight the sport soul and the unmistakable Aprilia racing character: parts in precious carbon, billet aluminium components, such as brake and clutch fluid reservoir covers, brake and clutch levers and mirrors, as well as the must-have frame guard and fork bumpers. The accessories dedicated to touring increase the comfort of the Shiver 900, such as the comfort saddle, side panniers and the seat bag. As with the other Aprilia motorcycles, the Aprilia Multimedia Platform is available which, thanks to Bluetooth connectivity and the interface with handlebar controls and the new TFT display, allow the rider to manage and share all the trip information, from data on more sporty riding to touring-related information, with indications on consumption, routes and trip speeds, grip conditions and Aprilia service centre locations.